Check out the great article about TT Guildford member Tanami in the recent Midland Reporter. There was discussion at the ‘Fresh’ screening about excess home produce, and what to do with it. Besides giving it away or swapping with others, another option is the ‘honour box system’. See what works for you, and let us know how you go. And don’t forget to stop by Helena street for some home-grown veg! This entry was posted in Food, Media and tagged Helena street, Midland Reporter. Bookmark the permalink. 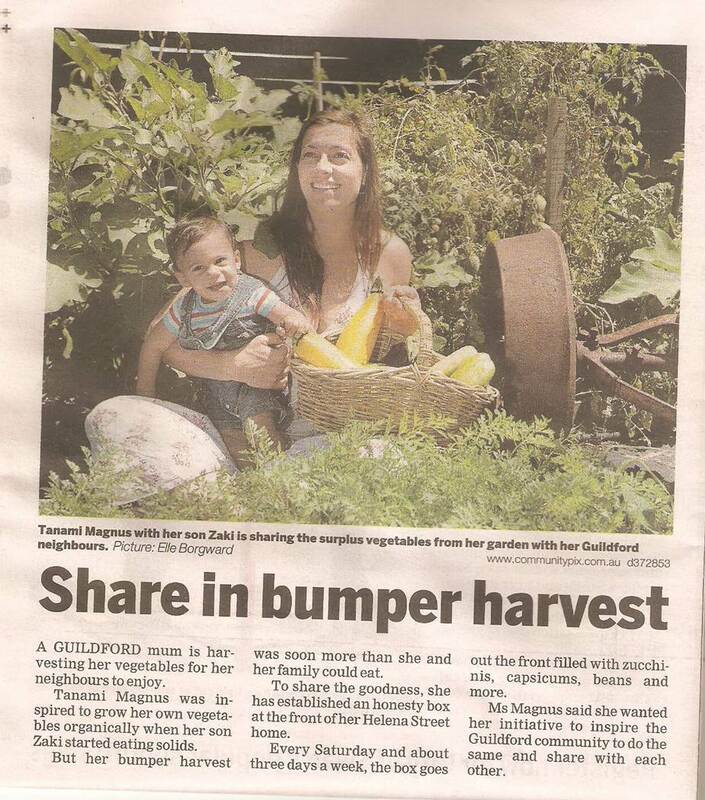 What an inspiring story in the newspaper clip on home produce and sharing with the community. This is what links neighbours to a living a healthy wonderful life lifestyle and bring back humanity to communities.